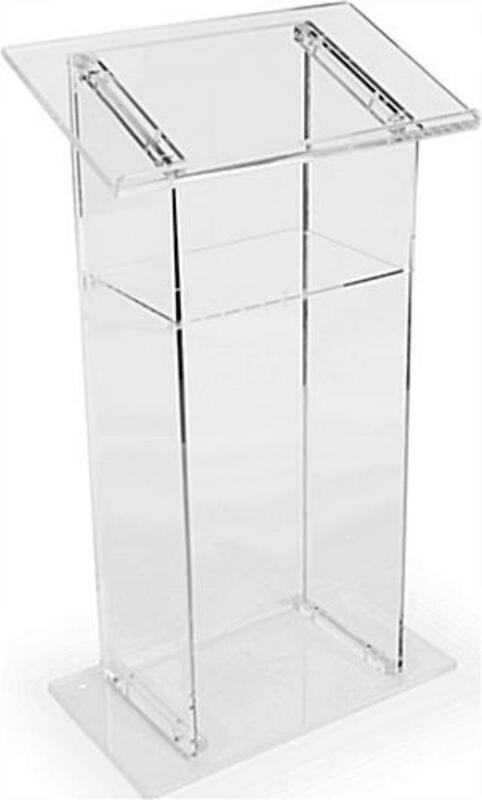 Acrylic Podium Lectern is 45-3/4 tall. The front of the podium is 15 1/2" at its widest point on top and tapers down to 12". The speaker s stand has a shelf that measures 14-7/8 w x 7-3/4 d.
The stands base and reading surface have a footprint of 23-5/8 w x 15-3/4 d.
* Please call us for any questions on our podium acrylic floor rentals in New Orleans, Metairie, Kenner LA and surrounding NOLA metro area.